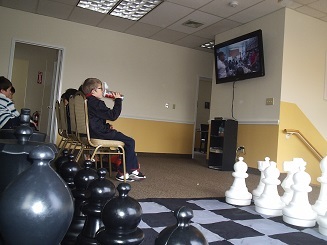 Our movie and game day event began with a showing of the inspirational chess film “Brooklyn Castle”. 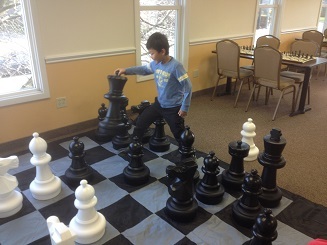 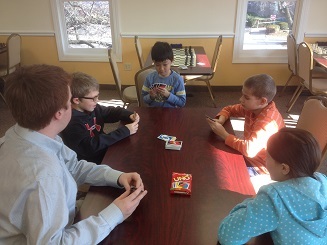 After the movie the kids enjoyed playing a wide variety of games from chess to bughouse to UNO. 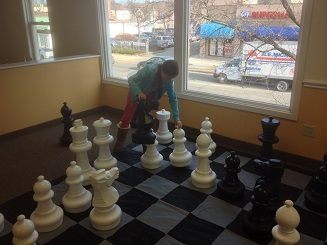 Several participants also took part in a tag team match on the giant chess set! 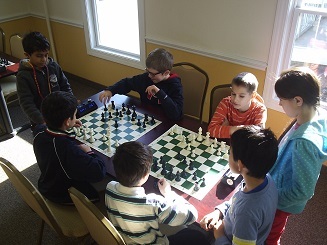 Everyone had such a great time that the event continued well after the end time because nobody wanted the fun to end!